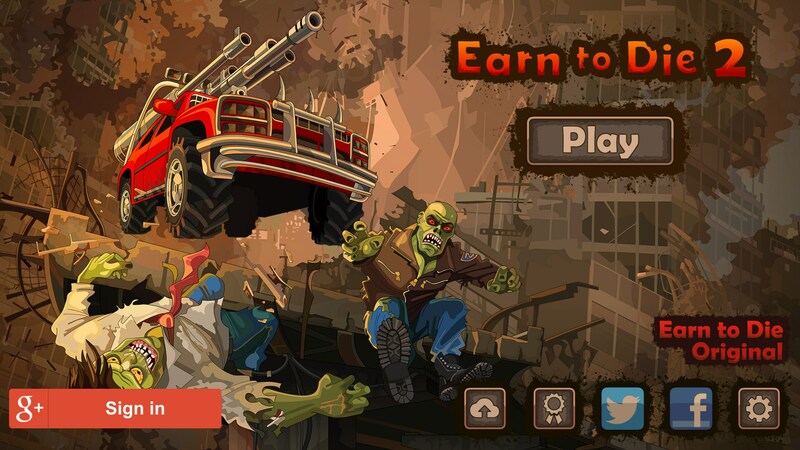 Earn to Die 2 – Games for Android 2018 – Free download. 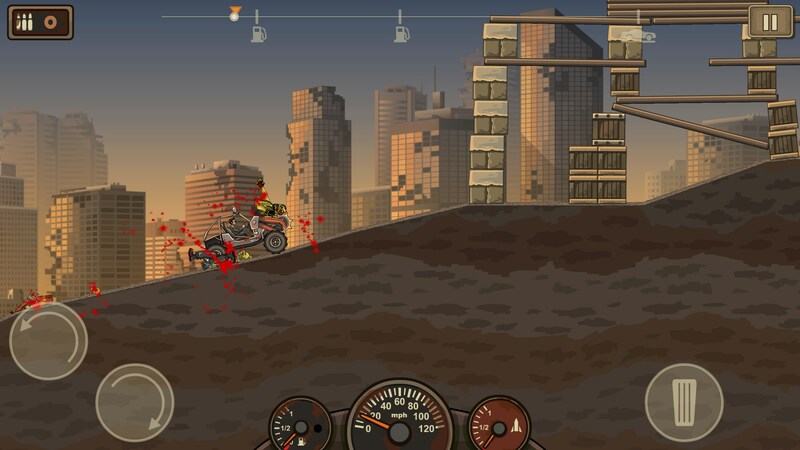 Earn to Die 2 – A well put together zombie killing physics game. 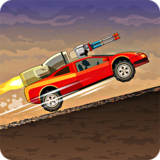 Most of the time I see some type of vehicular physics game I immediately think about the Trials series because they’re the ones who really took charge of the genre. 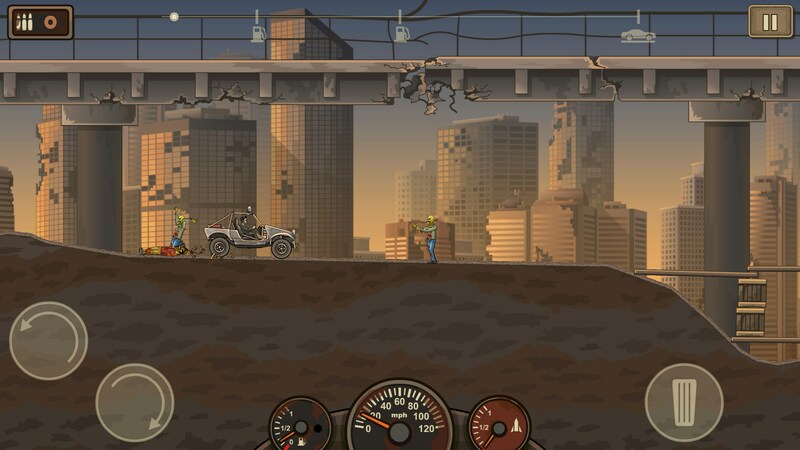 More often than not the imitators fail to really capture what makes those games good. 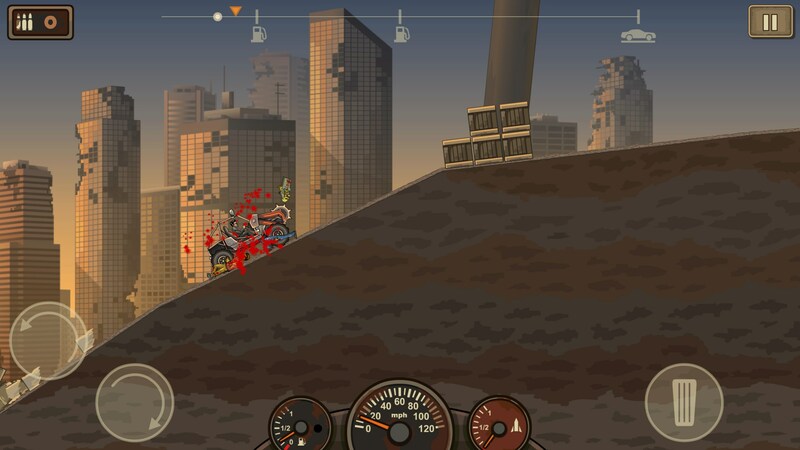 Earn 2 Die for Android is a game that borrows similar mechanics but plays it smart by not trying to accomplish what Trials does. 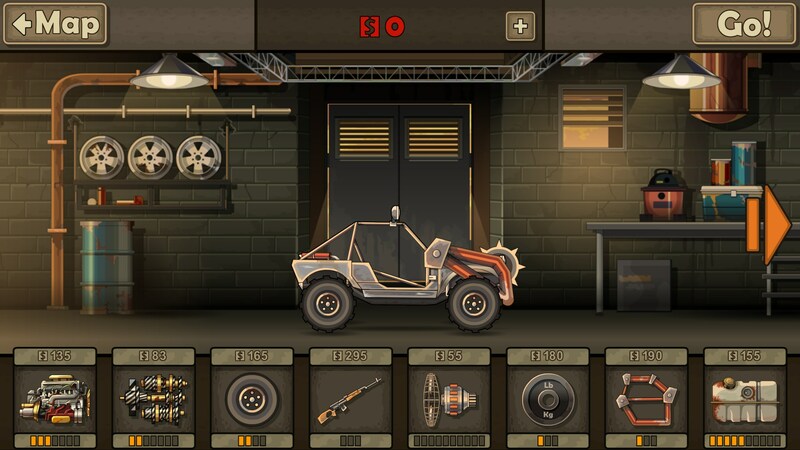 The game is more focused on building up your vehicle as much as possible so you can drive further and further into the game. There are definitely some physics based aspects to it but they don’t hinder a player as much as they give the player an option. Sometimes a player will have the choice to go the high road or the low road and they’ll need to use the two rotating buttons to do it. 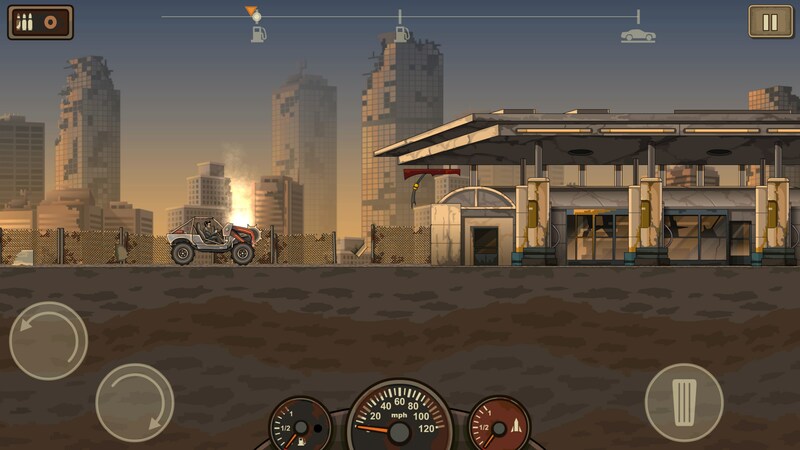 Each run into the zombie filled desert will net you cash that can be used to upgrade your ride. There are a lot of options to choose from and you’ll usually be able to upgrade after every (sometimes every other) run through. A lot of the incentive to keep playing is because the upgrades are so cheap so it gives players a constant reward and sense of progression rather than having them feel like they’re just wasting time. 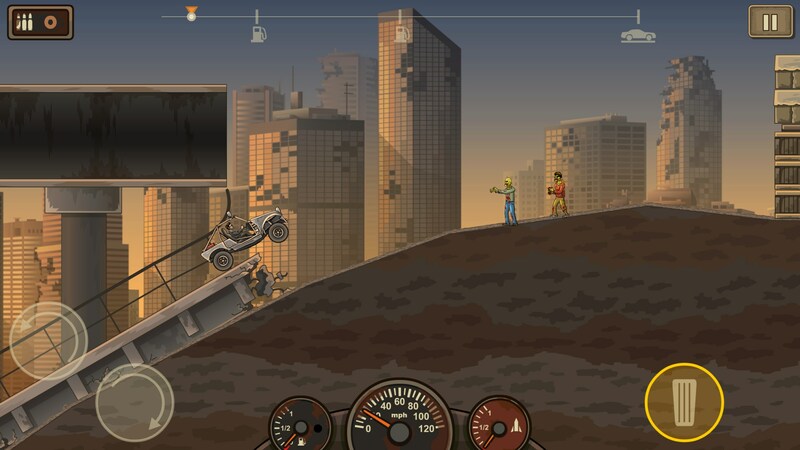 Zombies don’t really play much of a threat and are really nothing more than road bumps. You almost wouldn’t even miss them if they weren’t there. Your car will take damage over time, though, and this is another aspect you’ll need to put money into. 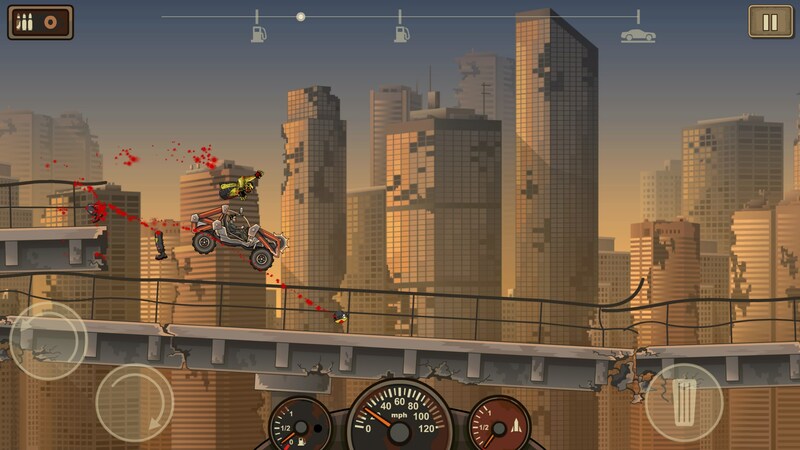 Earn 2 Die is a pretty respectable physics based endless runner. 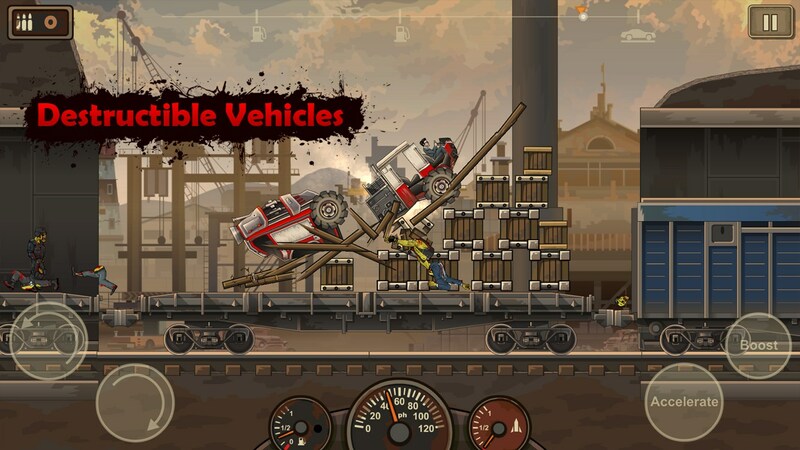 It gives players a constant stream of rewards, has great controls, and never presents a dull moment. That said, you’ll still be playing for hours and hours trying to unlock as much as you can.